FaceMaker Face-Building Blocks (MGFM) at Pure Design Kids / Toys / Other ::: Kids' Toys, Furniture and More at Pure Design Kids! 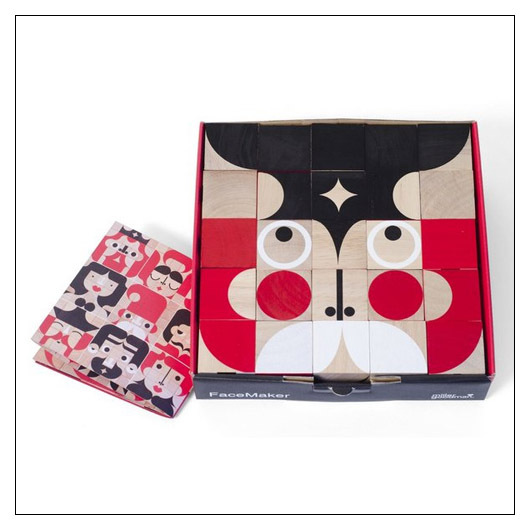 Made from the wood of rubber trees, these 1" hand-painted blocks are perfect to make faces with. Each side of each block has a differnet pattern on it so you can make happy faces, sad faces, funny faces, or YOUR face!